Non pollutant and low energy-consuming, river transport is a reliable, ecological alternative to omnipresent road transport and rail transport that’s often more complex to set up. “This serene and silent, yet capitalistic mode develops better if it benefits from inventive operators but also a wide gauge network, well maintained, flexible and competitive handling services and solutions, and loaders who can commit in the long run”. Your performance and serenity on the water : boats, canals, handling, storage… and more! Logways provides an integrated offer including transport and associated pre/post operations: pre-post conveying, handling and storage. This offer is particularly well suited to heavy and out of gauge goods’ transport. We strive to understand your issues and integrate your requirements in order to design tailor-made solutions that are competitive and reliable. Our engineering team can design innovative technical solutions that could meet your unanswered needs. Our knowledge of networks and service-providers enable us to operate on the Seine, Oise, Sambre, Meuse, Escaut, Benelux networks. For your everyday transport, enjoy a dedicated “river operations operator” 24 hours a day and 7 days a week, who understands the specificities of your business and anticipates your needs. He anticipates the potential malfunctioning of your flows and communicates clearly and quickly with you and our partners. Your “river operations operator” also has the mission to constantly improve reliability and flexibility levels by making suggestions. Our services rely on a network of bargemen, shipowners, handlers, stockists, transporters with whom we develop long-lasting partnerships in France and Benelux. Our different business expertise and networks of specialized service providers enable us to establish pre and post conveying which is sometimes necessary to establish mass transport solutions (rail, river, maritime,…). It also allows us to secure our river solutions by guaranteeing a unique cost for our clients. We analyze the specificities of your supply chain in order to answer it as best we can. 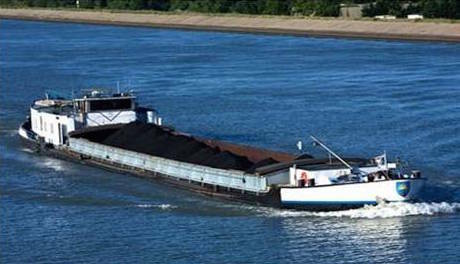 Goods to be recycled, polluted metals and land, wood and biomasses, steel goods, coal and minerals, chemicals, aggregates and minerals, heavy or bulky goods… according to your goods, the constraint of river routing and handling constraints, we find and set up the materials, conditioning, stowage and handling adapted to the smooth running of operations. Freycinet type boat, Canal du Nord, push convoys, 1500 m3 and over Campinois, double hulls, reinforced flooring, cistern, flexible tank, embarked pumping, …We find, adapt and/or design material adapted to your needs. You are on a canal and your installations need to be adapted, you need a technical storage solution that does not exist on the market, you want to improve your handling or pumping installations… we study your technical issues to offer adapted solutions.